Our clients are downsizing and wish to bring their classic, modern sanctuary to the market. Set in a prime location and hidden from the road behind the security gates and established perimeter plantings on this 6,740 m2 section (approximately just over 1.6 acres) is your next country retreat. Attention to detail has been the owners vision from inception. The thicker bricks for insulation properties and the coloursteel roofing making this home virtually maintenance free while the solar panels on the barn give you the choice to become self sustainable. The interior has all the modern conveniences for example automatic hall lights, ducted air conditioning, wall mounted televisions and sound system, and heated mirrors in the bathrooms. These all add up to those extra home comforts, of which there are too many to mention. The heart of this home being the very generous sized, north facing kitchen with central island and all the units are incorporated with soft close drawers, engineered stone benchtops; great for the baker or chef, and Butlers Pantry for all your kitchen storage needs is complete with surrounding glass splash back and double sink. Huge decks, four bedrooms, 2 bathrooms and 2 lounges make life so much easier for your family. Come home and relish sitting and relaxing on the massive deck with portico and enjoying a wine watching the sunset or cooking the family meal on the BBQ. When you have finished relaxing, there are vegetable gardens and lots of fruit trees to tend too. There is a possibility of creating a paddock or develop the lawn into gardens and put in a pool. The American Style Barn incorporating the shed taking up one and a half bays, that has the high stud capable of storing numerous boys toys, farm vehicles, campervans plus the container that is included. Adjoining the shed is a fully self- contained flat including a separate bedroom, bathroom and open plan lounge, dining & operational kitchen. 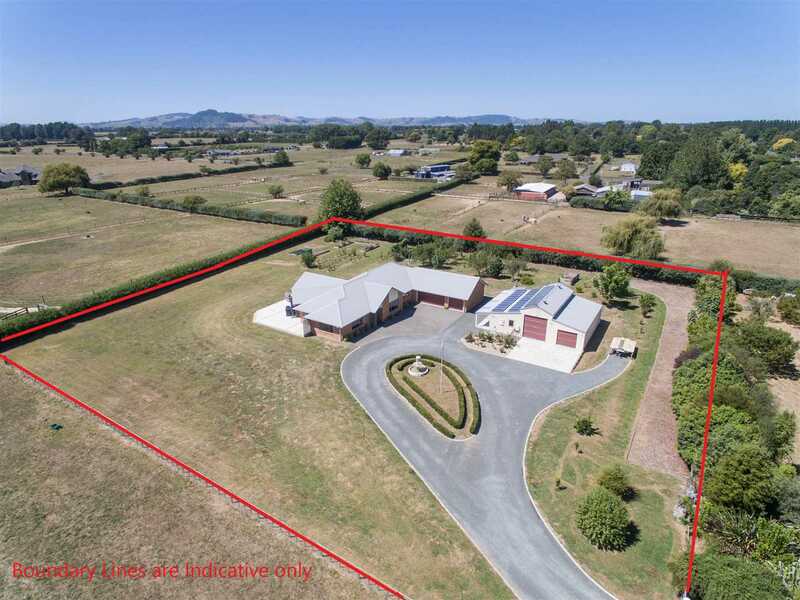 This property is in close proximity to the soon to be completed Hamilton section of the Waikato Expressway. Head North either towards Auckland or stop in Hamilton, with it's Gardens, Hospital and Airport. Alternatively head South to the Avantidome, St Peters School & Cambridge township. Our vendors are downsizing and wish to make a start on their new life. Call either Briony or Graham now to make your lifestyle dreams a reality.